With the arrival of her nineteenth birthday, Princess Kelsea Raleigh Glynn is ascending to her rightful place as the new Queen of the Tearling. Surrounded by enemies, including an evil sorceress possessed of dark magic, the young ruler stands little chance of success. But Kelsea possesses fearsome weapons of her own, including the Tear sapphire, a jewel of immense power and magic. As an epic war draws near, Kelsea's quest to save her kingdom and meet her destiny begins—a wondrous journey of self-discovery and a trial by fire that will make her a legend... if she can survive. When a book grabs at you and keeps you right where you are, unable to do anything but turn pages- you know you’ve found yourself a fantastic read. The Queen of the Tearling proved to be just that for me. In all honesty, it seemed like a daunting book initially. 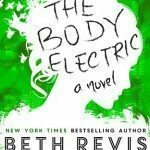 It was a pretty thick novel and when I first started reading, I found that the chapters were laboriously long. That aside, what kept me going was my eager desire to learn more about the world Kelsea Raleigh lived in, most especially the place that she was born to rule- the land of the Tearling. Just turned the rightful age of 19, it’s time for Kelsea to finally take her throne. She leaves the small cottage in the woods she’s called home as a child, the Queen’s Guard in tow to safely bring her back to her kingdom where she will be coronated Queen. However, the route back to The Keep a.k.a the Tearling royalty’s palace is a dangerzone full of people out to do away with Kelsea so she may never be crowned. With that, we get quite some action-packed scenes pretty early on. And things just get more exciting as Kelsea ascends as Queen- there’s horrible things to be stopped, magic to be discovered, secrets and schemes to be found out. While the story was beyond interesting, what I loved most about the book is its main character. Kelsea, just as she is, was engaging to read. She’s bookish, smart, witty, good-natured. Her personality was genuine and I found myself easily connecting with her. As a queen, I found Kelsea totally admirable and kickass. I loved how she was righteous, reflective about making decisions, strong-willed. She truly had what it takes to be queen and as I watched her stand up to challenges, threats, and trials as the book progressed, I grew proud of her. I knew then that I would follow her journey and see through this series. Other than Kelsea, I liked reading about the rest of characters who were all very distinct. A lot of them I found very intriguing and can’t wait to read more about- Lazarus of the Mace who served as Kelsea’s Captain of the Guard, The Fetch, and even the Red Queen. We get multiple viewpoints here and even when a lot of them were sparse since Kelsea’s remained the main narrative, they were a great addition. This and the great and vivid world building Erika Johansen exhibited, and the unflinchingly well-written story itself were enough to pull me in and get me immersed into The Queen of the Tearling. I was surprised and dazzled by how much I really enjoyed reading it. I need the sequel ASAP! 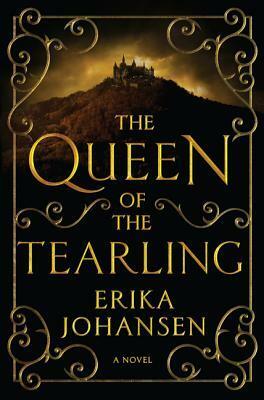 The Queen of the Tearling by Erika Johansen is available in Fully Booked. I’ve heard a lot of mixed reviews about the book so I’m glad to hear that you enjoyed it. I just picked up an eBook copy of it so I think I’ll be reading it soon! I’m a big fan of the older stuff, The Hobbit and LotR especially. Thanks for the chance to win this one, I hear it’s excellent. I LOVE fantasy, so my list would be so super long if I were to list my favorites, but my current favorite fantasy series is the Throne of Glass series by SJMaas. I’ve kinda been a bit obsessed with those books for about two years now lol. I’m so glad that you enjoyed this book as much as you did!! Of course, DIVERGENT! :) Big fan of the Divergent Series! I like how it tackles not just about the usual romantic love and family ties, but also the society which you kinda reflect and see how it is in reality. Somehow it might be true of what it predicted in the book. This sounds like a wonderful book with a really intriguing plot. I love books that keep me flipping the pages, too, as I’m sure many people do. Also, I LOVE reading about bookish characters. I understand them so much better, you know? The Mortal Instruments & The Infernal Devices! Omg luv luv! So many, but definitely LOTR and the Narnia series. A more recent one I can think of is the Graceling series. I’ve SO wanted to read this for some time!!! Hi Hazel, I just noticed the (PH) in the tweet. Is this giveaway for followers in the Philippines only? Thanks. Hi Carl, yes it is. The giveaway copy is sponsored by my local bookstore so the contest will only be open for PH residents. Sorry! Great giveaway! Some of my favorite fantasy novels are the Seven Realms series by Cinda Williams Chima, the Grisha series, and, of course, Harry Potter!! I’ve never heard of this book or author before, so thank you for bringing it to my attention! 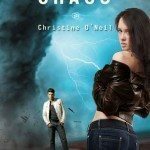 Kelsea sounds like such a cool main character – I may have to give this a read! Recently, my favorite fantasy novels are anything by Juliet Marillier. Especially Daughter of the Forest and Wildwood Dancing. 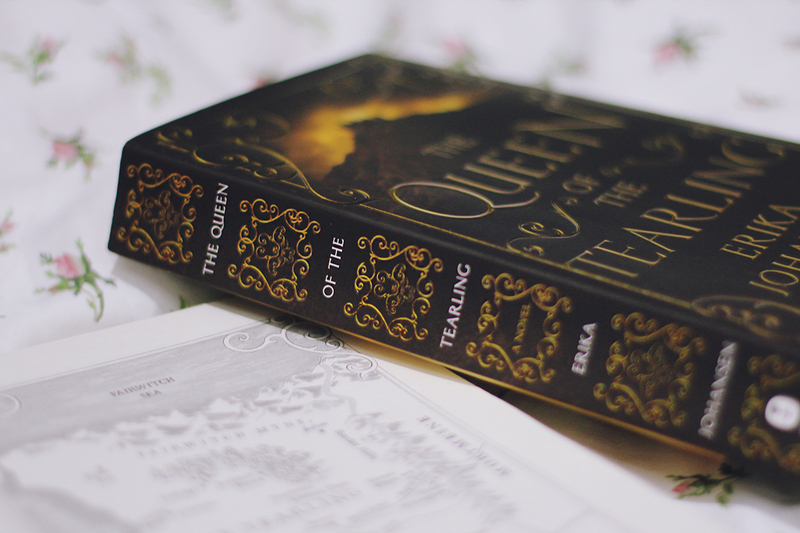 A part of me really wants to read Queen of the Tearling because it sounds like my kind of book, but I read some reviews that weren’t so thrilled. Guess I’ll have to see for myself some time. I haven’t read them so many I could pick… Maybe Lux series. I haven’t read that much fantasy though, it’s a new genre to me! 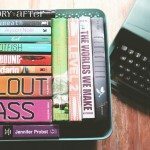 Jennifer A. Nielsen: The False Prince is great. I’m dying to read this book!!! Thanks for hosting this giveaway!! 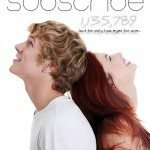 I love your blog, and I’ve been wanting to read this book! Harry Potter originally got me into reading fantasy, so I have to give that credit as one of my favorites! Another one of my favorite fantasy novels is The Night Circus by Erin Morgenstern. My favorites are throne of glass by sarah j maas, the seven realms series by cinda williams chima, and finnikin of the rocks by melina marchetta. My favorite fantasy novels would prolly be The Harry Potter series, the Divergent trilogy and The Mortal Instruments series. Ugh, I just love all of them in different ways. I loved The Hobbit and of course, The Lux series, though I haven’t finished them all yet. Throne of Glass, The Hollows series, The Dresden Files, the Codex Alera series (soooooooo underrated), and many more. Fantasy is my favorite genre. Thanks for this giveaway! 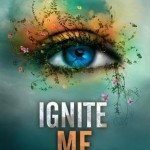 Some of my favorite fantasy books are Mortal Instruments, Daughter of Smoke and Bone and Shadow and Bone! (I haven’t read that much fantasy honestly). I loved The Queen of the Tearling! It was one of my favorite fantasy reads from 2014, mostly because I loved Kelsea and her story. I’m looking forward to seeing how everything continues in The Invasion of the Tearling — and hoping for just a spot of romance for our beloved Kelsea. I’m glad you loved it too! The Kiss of Deception was really my favorite fantasy read of 2014.